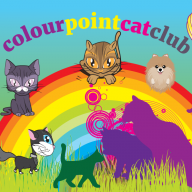 At Colour Point Cat Club, we provide the best information possible based on information from reliable sources. If you have an article idea, please contact our Editor. Furthermore, if you think you can write interesting articles on subjects we ask for in the style of our site, you may also contact our Editor. If you have a question about an article we have written, please get in touch and we will look in to the issue.